Our learning project is Pharaohs! We will be exploring the fascinating world of Ancient Egypt. We will learn all about life in Ancient Egyptian times, the amazing pyramids and the gruesome practice of mummification! We had a visit from Mark from Portals to the Past for an Ancient Egypt day. 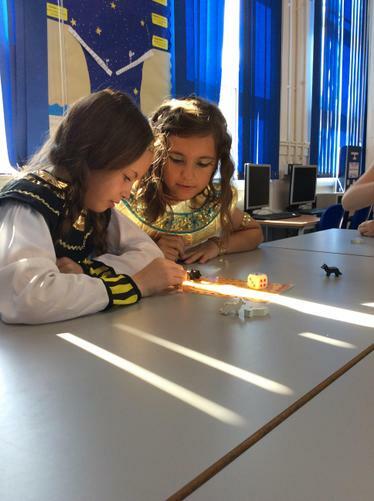 We had a fantastic time looking at artefacts, playing the Ancient Egyptian game 'Hounds and Jackals' and finding out about the life of a pharaoh.